Greetings from Arizona!! I’m hear for a work conference for a few days and can’t tell you how much I am enjoying the warm weather! I hope you had a wonderful weekend. 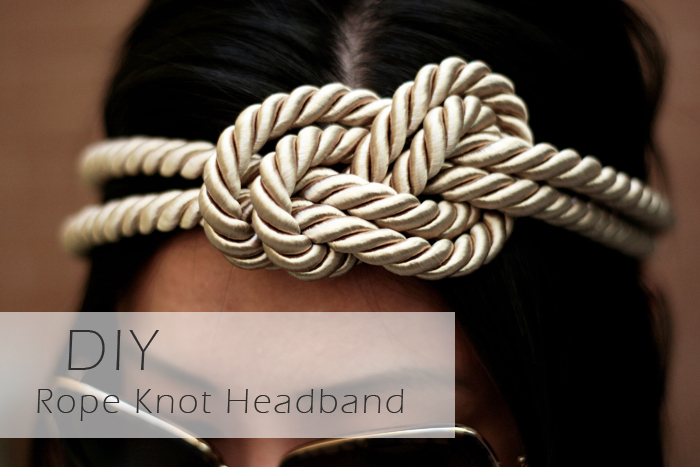 With Coachella just around the corner, I thought I’d share a DIY project – Rope Knot Headband – you might want to try whether you’re heading off to the music festival or for to add a little hippie vibe to your summer outfit. 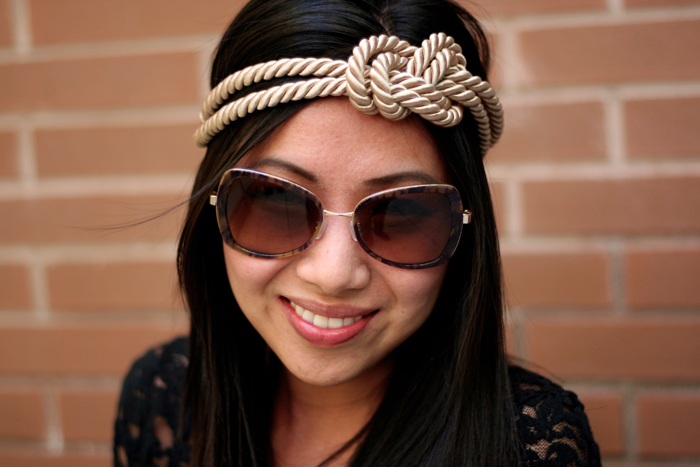 I’m not one that looks great with headbands, but I must say, this would looks so cute with some cut off denim shorts and a white crochet blouse! 1. 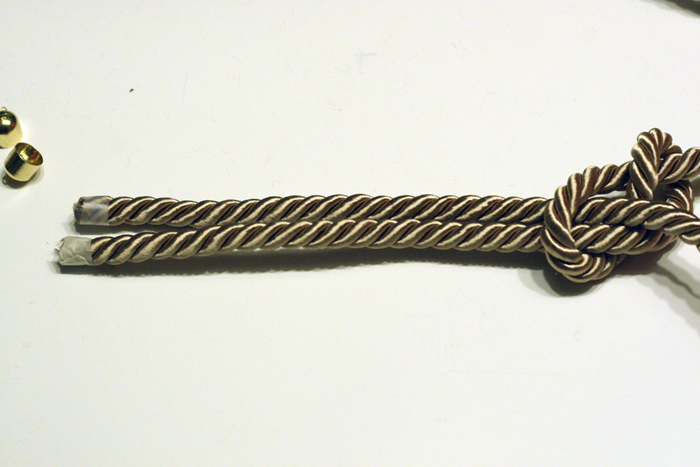 Start by prepping the rope end clasp. 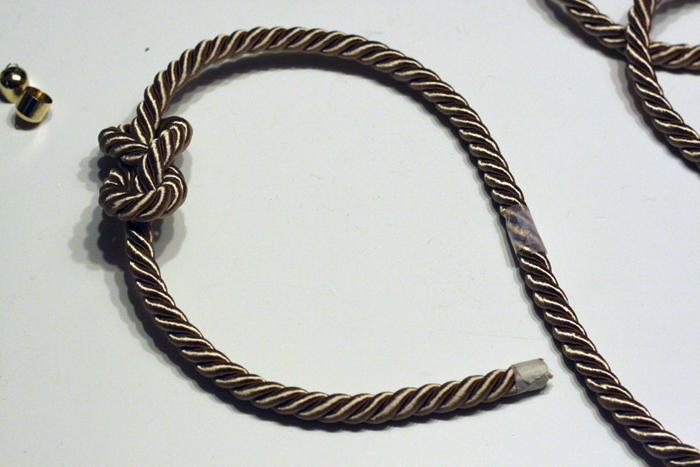 Cut a piece of wire and fold in half into a loop shape. 2. 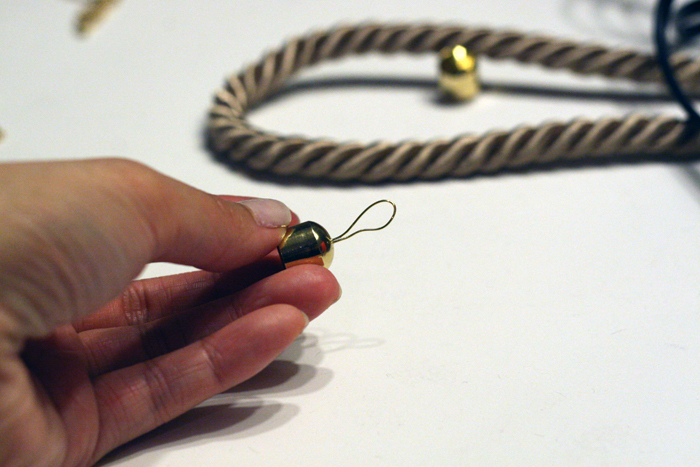 Take the ends of the wire and insert into the hole of the rope end clasp. 3. 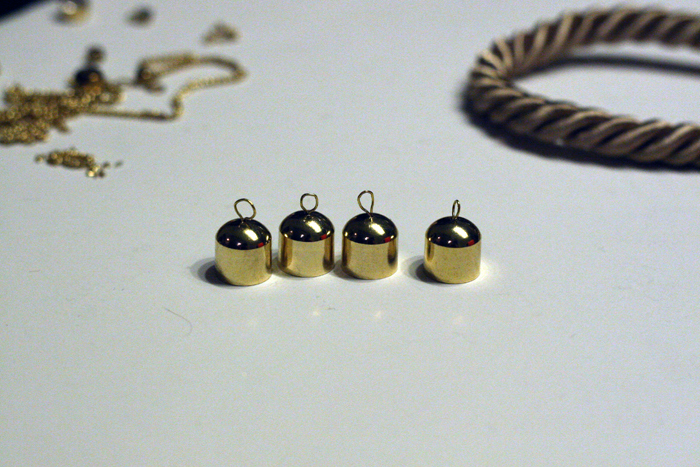 Repeat steps 1 and 2 three times to create the wire loops for all 4 end clasp. Set aside. 4. 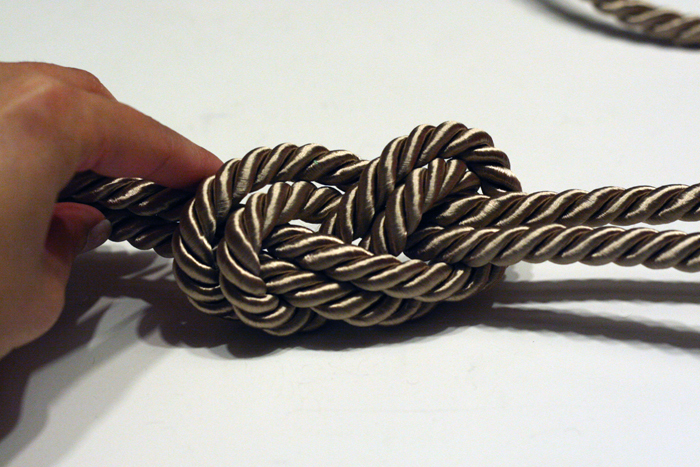 Take your rope, leaving about 8-10 inches of length on one end and create your knot, like a figure eight. 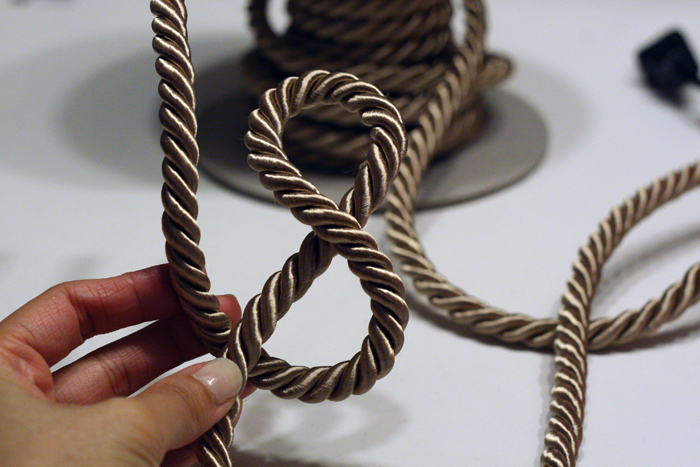 Start the figure eight shape by first overlapping the rope as seen in the photo below. 5. 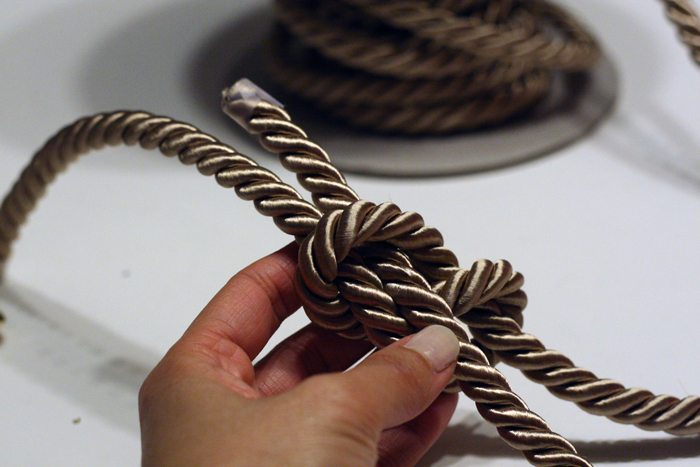 Continue the figure eight shape by tucking the rope underneath as shown below. 6. 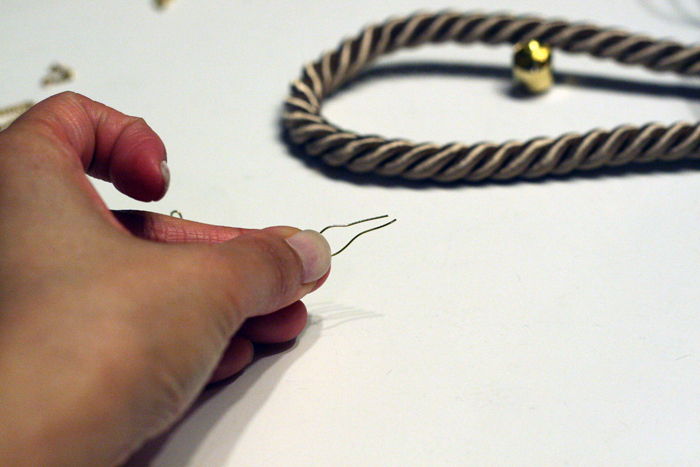 Take the end and loop it through back the top loop of the figure eight. 7. 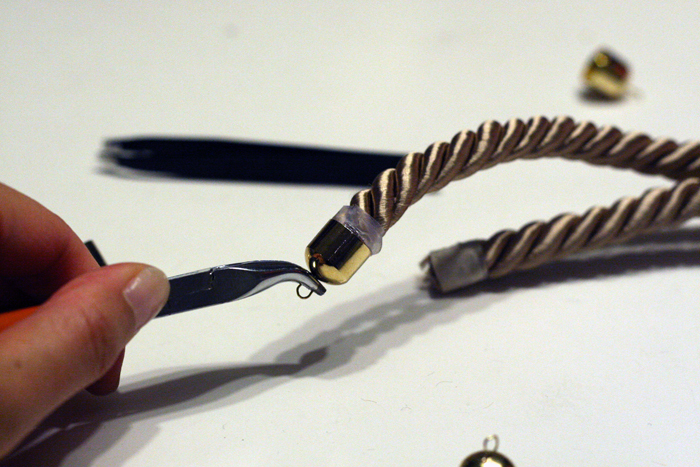 Pull gently and adjust the length of the two sides to ensure it wraps around the crown of your head. 8. Tape the end of the uncut side, and then cut the rope. 9. 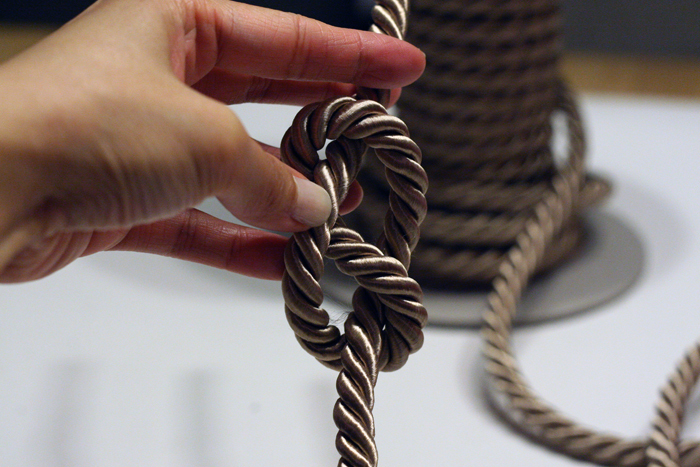 Repeat the same figure eight shape by first inserting the second strand of rope through one top half of the figute eight loop. 10. Pull the second strand of rope all the way through to match the first rope. 11. 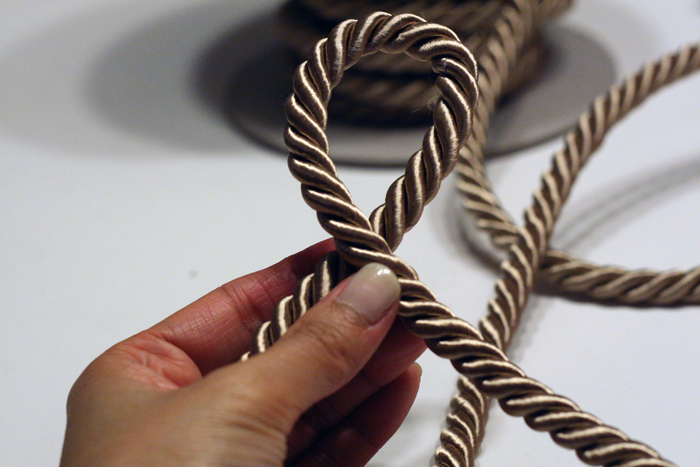 Continue to follow the figure eight shape with the second strand of rope. 12. 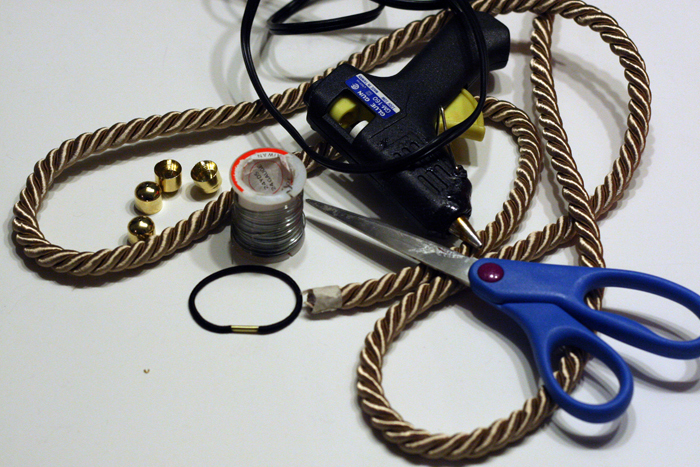 Once you have the two ropes in the figure eight knot and also have adjusted and trimmed the rope to length (matching the crown of your head), heat up the hot glue gun and squeeze glue into the inside of the end clasp and insert the end of rope, repeat for each one. 13. Attach a jump right to every end with the elastic band as shown below. Here you have it! Final product! I hope you like this DIY project, click here to see more of my DIY projects. I hope you have a wonderful start of your week! Please share and pin if you like this DIY! Wow! this is such a cute, simple DIY thats so perfect!! i love love love it!! 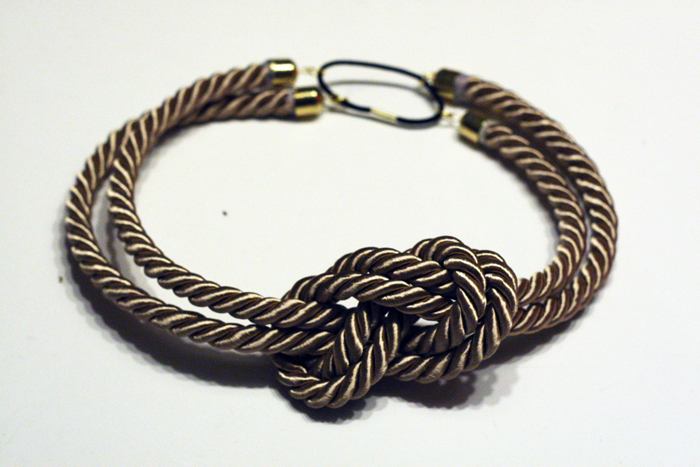 I love how easy this is to make and I love DIYs with decorative knots and so do my readers. 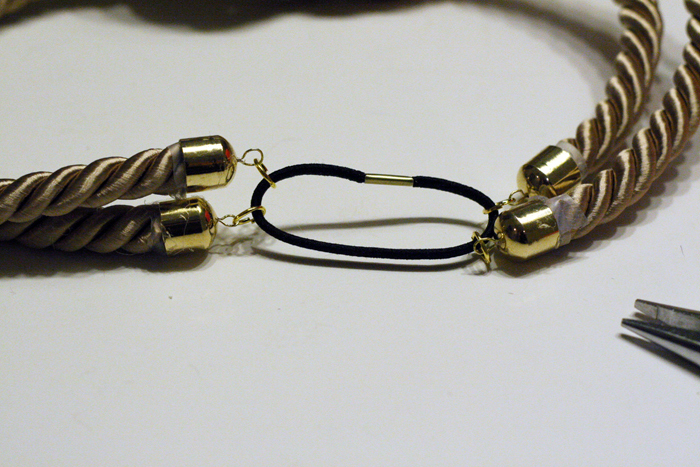 I posted two finished photos of your headband and a link back to you on my Tumblr blog truebluemeandyou. It’s now featured on the Tumblr DIY tag.